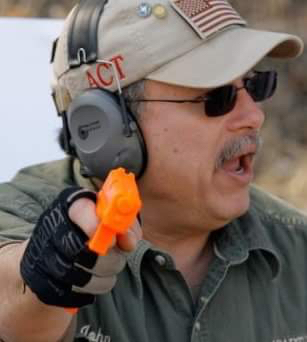 Revere’s Riders is proud to announce a partnership with John Viray of Adaptive Consulting and Training to offer Pistol 145 (Intro to Defensive Pistol) courses at Riley Conservation Club near Terre Haute, IN. John has extensive qualifications as a firearms instructor (NRA certified instructor in Basic Pistol, Personal Protection in the Home, Personal Protection outside the Home, Metallic Cartridge Reloading, Shotshell Reloading and Range Safety Officer) as well as a wealth of experience in the shooting sports (IPSC and USPSA since the 1980’s including a class win at the 1998 USPSA 3-Gun Nationals). For over a decade, John has trained Hoosiers in the safe and responsible use of all types of firearms, from introductory to advanced skill levels, for self-defense, hunting and competition; basic first aid and urban survival courses have also been offered. Pistol 145 (Intro to Defensive Pistol) is designed to introduce students to the techniques and mental attitude that will be invaluable in a self-defense situation. Students taking Pistol 145 should already have taken either the Revere’s Riders Pistol 100 course or the equivalent and are expected to be able to safely shoot, load and unload their handgun before attending Pistol 145. Students will learn the mechanics of defensive shooting (safely drawing from the holster as well as reholstering), the physiological and psychological aspects of dynamic critical incidents for both the “good guy” and the “bad guy”, selection of firearms and ancillary equipment for defensive use as well as other topics. This is an invaluable course for those interested in self-defense with a handgun and will provide the foundation for students to go on to more advanced defensive handgun training.